The Howard Gotlieb Archival Research Center will host the opening of an exhibition of Rev. Martin Luther King, Jr.’s archives in an event honoring Christine King Farris tonight from 5-7 PM. 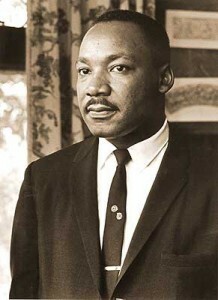 Farris will be recognized as the first Martin Luther King, Jr. Fellow and will offer the inaugural MLK Jr. Leadership Lecture, speaking on her work and her personal memories of the King family. Poet Nikki Giovanni will also be participating. The event, which will include a reception, will be held in the Howard Gotlieb Memorial Gallery at 771 Commonwealth Ave. LECTURE IS FREE AND OPEN TO THE PUBLIC.